Joining the Vancouver Real Estate Group network project is absolutely cost and obligation FREE. 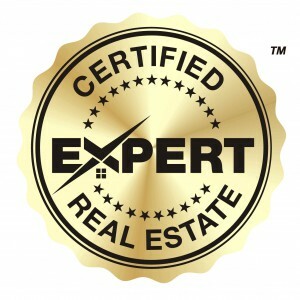 Our experts have to follow the highest real estate industry standards. All professionals, in order to become members of our group, have to meet very specific criteria and proven high business ethics and standards. The performance of our members is constantly monitored by our customers’ relation department and through our clients’ feedbacks. Vancouver Real Estate Group VREG is looking for professionals involved in each step of the buying and selling process. REALTORS®, Mortgage Brokers, home designers and staging companies, architects, handymen, general contractors, roofers, landscaping companies, plumbers, gasfitters, electricians, painters, home inspectors, real estate and immigration lawyers or Notaries, home insurance agents, moving companies and any other professionals connected with the real estate industry. A major qualification criteria to join our group is the applicants to be very active on the most popular social media networks (Facebook, LinkedIn, Twitter, Google+, YouTube etc.) Your social media links will be displayed on www.vreg.ca for the public or other members to contact you. Depending on your social media activities, the public and other members will see your popularity score, before they contact you. The links will be used by our social media department to monitor the frequency of your advertising and promoting activities, as well. Other important criteria is fluent second language and average annual transactions, contracts or clients serviced. We reserve our right, if there is a new application submitted, by a professional with better business records, social media activities and experience, to discontinue your expert membership. Your expert membership will be discontinued, if there are a few reasonable clients complains as well. If you are interested to join our referral network and become one of the registered exclusive specialist in your geographic and professional area, please fill and submit the form below. Our team member will contact you to discuss your membership qualification. If you would like to introduce another real estate expert to VREG, please copy and email them the link to this registration page. Thank you for your interest becoming a Vancouver Real Estate Group Expert.